Bodybuilders and men in general have always been slightly obsessed by developing their hands. Your hands are usually one of the first things other people notice about you. You can rarely show your abs, back or legs on a normal occasion, but you may reveal your arms. It’s not just about looks, too. When you meet someone for the first time, you shake hands with them and this first touch may influence your future relationship. The grip that you use might convey confidence, or lack of it, or nervousness, even if you aren’t actually feeling any of these things. Most people associate a firm handshake with warm and trustworthy people. But, there’s more. Amazingly, a significant amount of research shows that grip strength can be a marker of not only overall physical health of an individual, but also cognitive performance and risk of development of age related diseases. Your max (isometric) handgrip is a valid indicator of muscular strength, and is actually recognized as the most suitable measure of muscular function for clinical settings (1). Studies involving larger groups of people have connected weak grip strength with poor health-related quality of life (2) and have been used to identify people at risk of limited mobility, bone fracture, frailty, sarcopenia and falls risk (3, 4). Moreover, handgrip strength is fast becoming a valuable clinical indicator of mortality risk (5, 6) – it can be an even stronger predictor than either systolic blood pressure (6) or obesity (5) for both general cause mortality and cardiovascular mortality! It doesn’t stop there. General population studies have shown that the connection between muscular strength and health also includes brain health. For example, adults aged 50 or more with superior strength in the limbs have increased cognitive capabilities and capacity and are at lower risk of developing age-related cognitive impairment, like Alzheimer Disease and dementia (7, 8). Handgrip strength is related with benefits in performance across multiple cognitive areas in the elderly, with better verbal and spatial abilities, better processing speed and memory (9, 10). A recent review of more than a dozen studies found that a very interesting relationship between grip strength and cognition: decrease in grip strength can be a valuable indicator of general cognitive decline (11). Despite study consistency and reliability between the connection of grip strength and cognition in the elderly, the exact neurophysiological reasons of this connection are still not clear. The most likely reasons are thought to be white matter degradation in the brain and inflammation. Research has linked muscular strength with white matter regions of the brain (12) and clearly shows that individuals with superior grip strength have considerably less markers of age-related white matter degradation (10, 13). Since white matter degradation can hinder performance of both physical and mental tasks (14), this could be the connection between grip strength and cognition. In regards to inflammation, both cognitive decline in the elderly and weakened grip are anticipated with increasing levels of inflammatory markers, like interleukin-6 (15, 16). Increase hand strength – you’ll strengthen your wrist, arms and their muscles. This can be very useful if you play sports like if you play tennis, dodge ball or any sport that requires you to use your wrist extensively. If you’re into gymnastics or mountain climbing on the other hand, a good hand grip can support your own body weight without burdening other muscles. Improve forearm muscularity – opening and closing your wrists engages your forearm flexors and forearm extensors, giving your arms a powerful appearance. Better hand endurance – by working on your grip strength, you’ll be able to apply a constant grip for extended periods of time. This can be especially useful for carrying luggage all day, without losing your grip due to fatigue. And what is that simple exercise? 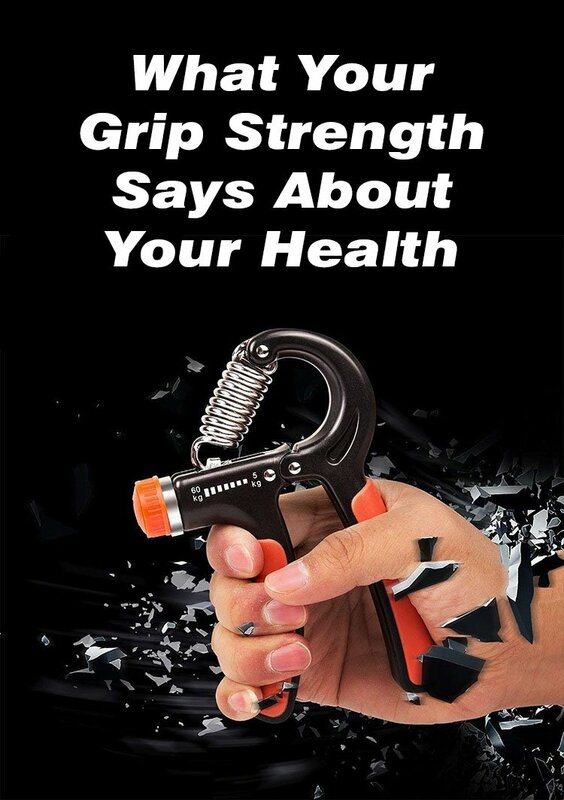 The easiest way to develop grip strength is with a hand gripper. You can put these small devices in your pocket and use them anytime you are idle. 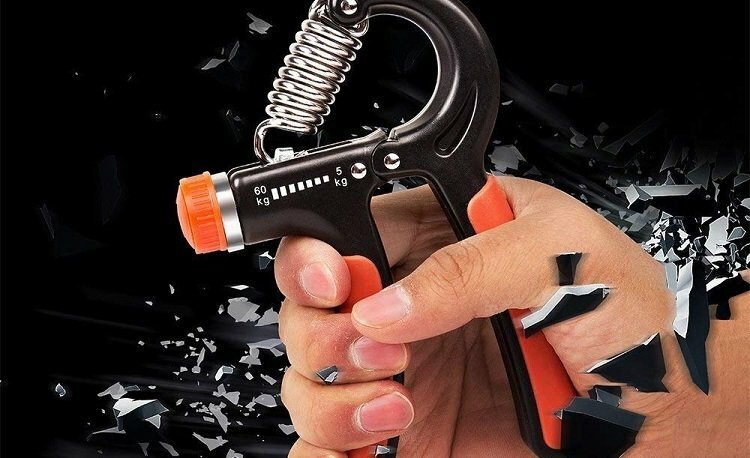 They are specially developed to let you have quick yet efficient hand workouts.